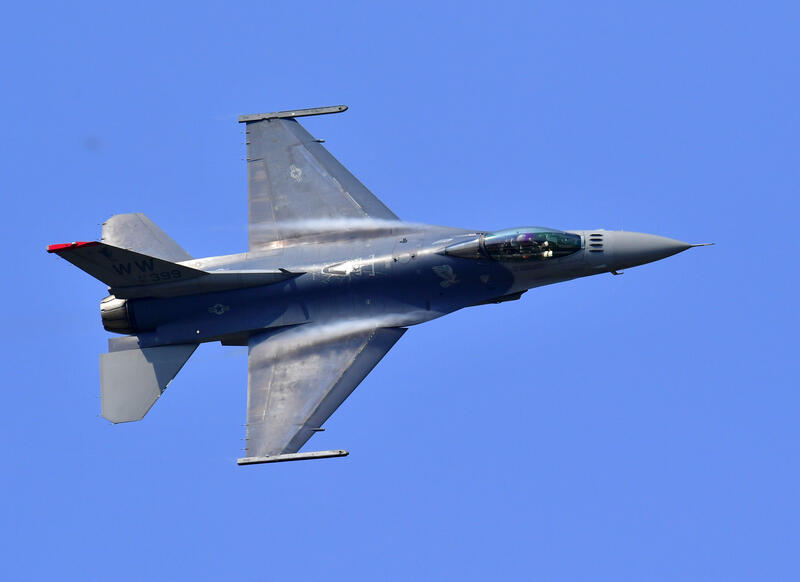 BRIDGEWATER, N.J. -- A U.S. Air Force fighter jet intercepted a small general aviation aircraft flying near President Trump's private golf club Saturday. The U.S. military announced that an F-16 jet intercepted the plane around 12:30 p.m. Saturday. The North American Aerospace Defense Command, or NORAD, said the plane was flying "without proper clearances or communications" in the temporary flight restriction zone around the president's Bedminster, N.J., golf course, where he spent the weekend. NORAD said the intercepted aircraft landed at an airport in Pittstown, N.J., without incident, where local law enforcement met the pilot. White House spokeswoman Lindsay Walters said in a statement Sunday that the pilot was "deemed a non-threat." Mr. Trump arrived in New Jersey Friday afternoon and returned to Washington Sunday. Mr. Trump tweeted critically several times Saturday afternoon about special counsel Robert Mueller's investigation but not about the small plane.